I finished The Jacket by Andrew Clemens which I will review soon. Currently I'm reading and loving Act of Grace by Karen Simpson. It's my treadmill book, so it will take a while. I really enjoyed Bruiser too! Great reviews! I like the flash reviews. 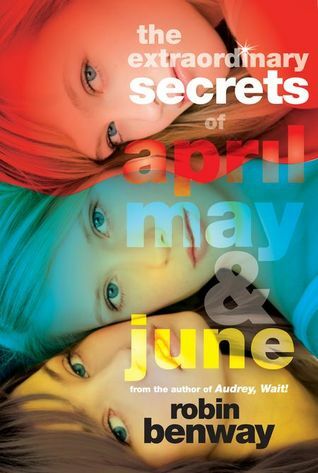 I read April, May, & June when it first debuted and enjoyed it. 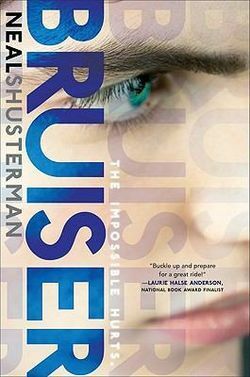 I haven't read Bruiser yet, but I like Neal Shusterman. I'm not sure why but I think that Bruiser is a great title! It makes me want to know more. I also love Neal Shusterman's books, mainly because I never know what I'm going to get. I love how he used different writing styles and povs in the book. It definitely had me thinking for quite sometime after I finished it. I'm in the same boat as you are when it comes to reading so quickly! I like your idea of "Flash Reviews"; would you mind if I do the same thing and link back to you? 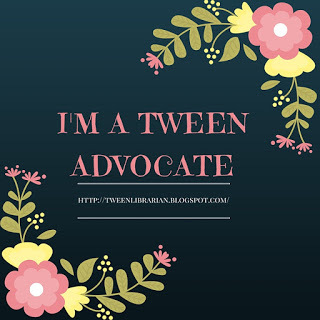 :) This really is a great idea! Bruiser was such a fantastic read. I'm sorry some of the narration didn't work as well. That is the worst part of auido, when the narrator doesn't match a character well.